You might be thinking, wait a second why is it still Wyman Wednesday Thursday? Does she not know Worlds has been and gone, so surely that’s the end right? Well no my friend, it’s far from the end for us hardened pros and we will still be racing till the first classics begin because we can’t get enough of it. Last weekend saw the final round of the DVV Trophy and the penultimate Superprestige. Next weekend is the final Superprestige and the final Brico Cross. Then there’s the night race in Waregem followed by the last weekend of Leuven and the traditional season “sluitingsprijs” in Oostmalle. Going to Oostmalle is one thing, saying it is another. I love being in Belgium, and I really love Belgian people; however, they very rarely give an inch when it comes to pronunciations of their language. Despite the 720 dialects—all with their special words—they still pretend to not understand you if one “o” isn’t held for the required 2.3 seconds, or if the oi, ei, ie isn’t spot on. I’m fairly sure the English language is a lot more tolerant on this, and not once have I ever felt I don’t know what a Belgie means when they say ‘tree-athlon’ or that ‘i-ron’ is a metal, not the latest Apple device. My first Belgium language reprimanding came at Zeddam World Championships way back in 2006. I was chatting with a Belgian guy about how I was going to stay out and race every race until the end of the season. On telling him my final race would be Oostmalle, he just gave me a blank, never-heard-of-it, don’t-know-what-you-mean look. Bear in mind the event was into its 11th year by this point. I tried at least five different pronunciations, none of which were too far out, until finally I gave up and wrote it down. To which he replied, “Oh, you mean Ooooooooostmalle.” If you want to know what I mean, try getting “olie” past a Belgian. Although some things will never change in the sport of ’cross like the traditional end of season race and the lack of pronunciation tolerance, the world does evolve and it was in the press this week that Kevin Pauwels announced his retirement at the end of the season. Kevin is the very last of his generation and although still young at only 34 years of age, he has always been the consistent point of reference for cyclocross in the last 19 years. As his era of competitors all retired around him and the young kids took over dominating men’s ’cross, he still took those precious podium spots. With five bronze medals in the Elite Men’s Worlds alongside being both Junior and U23 world champion, it’s safe to say he will be missed. The most interesting fact I read following his retirement was that at 34, he was the oldest Elite male pro rider from the Benelux region. On further investigation, he is also the oldest rider in the top 30 of the UCI world rankings. Now this might not seem strange to you, but to me, this says a lot about where the sport is heading. Firstly, riders are regularly moving out of the U23 men’s category earlier than ever before. The way the UCI is taking the sport, it wouldn’t actually surprise me if they eventually dropped this category altogether. While this isn’t something I agree with, based on the regulation changes this year, it could feasibly happen. I personally think the riders in the U23 need their own races to transition to the Elites. They are learning their craft, winning U23 races while getting top 10 in Elite races in Belgium. 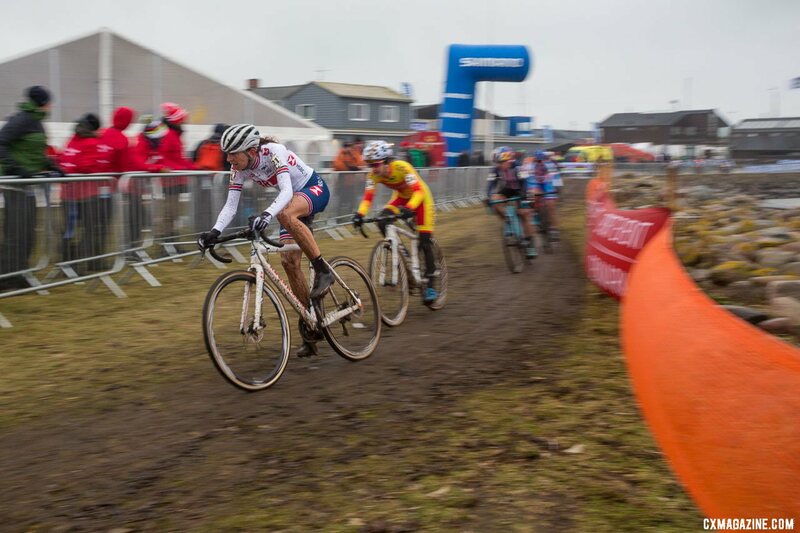 In the same way that the U23 women’s category has brought us the likes of Ceylin Del Carmen Alverado, Annemarie Worst and Evie Richards, the men’s equivalent is keeping riders like Tom Pidcock, Eli Isybert and Ben Turner motivated in a very competitive era. Having said that, if the sport has to move in that direction, I do think there is a place for a slightly altered age range, say maybe 17-20 (call it u21), then you become an Elite. Secondly, the courses have changed so much over Kevin’s era, and this has impacted our sport too. Ten years ago it was possible to be a mud/sand/technical/fast specialist. There were plenty of races to suit your style of racing, and as racers, we all looked forward to our favourite conditions. However, the courses have evolved, the audiences are looking for fast, tight racing and the courses have to reflect that. While the traditional courses such as Gavere, Koppenberg and Koksijde will always be, well, traditional, the general trend is towards more manmade, less natural features per lap. Finally, I think this is a real reflection on how influential people in the sport view an athletes age. Kevin has won a race this season, but for two years he hasn’t been selected for Worlds because he was “too old,” despite having his last Worlds podium only three years ago, the last time he made the team. In road racing, you regularly hear federations not selecting riders due to age—in fact, the UCI Women’s road team regulations even had a maximum average age across the team until recently. Even this season Eva Lechner, Italian National Champion and at the time fourth in the world rankings, was left at home for the European Championships by her federation based on the idea that they wanted to take a younger rider. They had 3 spare places in the selection, and she is a mere baby at 33 years old. Granted, this was clearly a poor excuse in this case, but many team selectors believe a rider can be too old. Luckily my federation does not! I do think with ’cross becoming more professional for women, we will find a reduction in the number of older Elite riders. The days of having to get a career and money in the bank before you became a professional cyclist are nearly over, and this shows in the age of riders at the top of the women’s side of the sport. Having said that, those youngsters can still learn from us “experienced” riders, especially when those super fast courses finally get that ever elusive mud. So next up for me are Hulst, Waregem and Ooooooooostmalle. At this point in the season I’m still feeling fresh so maybe, just maybe, the luck gods can be on my side, and I can stick it to them young guns a few more times before we all break up for the school holidays!